SSOUTH AFRICA, Durban – Wednesday, 3rd April, 2019: In a bid to boost tourism in Africa, it is time that we change our narrative from a continent that needs saving to one that is thriving. This was the key insight at Africa’s Travel Indaba Media Launch held at The Plant Venue Co., Durban on 3rd April 2019. “The greatest story for us to tell is our own; the most effective way to tell it is the African way - because the centre of the universe, literally and figuratively, is in Africa,” he said. Africa’s Travel Indaba continues to be Africa’s leading and longest running travel trade show. It offers industry players and its stakeholders an opportunity to meet and engage on the challenges and opportunities that affect the advancement of tourism on the continent. The event showcases the widest variety of the continent’s best tourism products and attracts international buyers and media from across the world. 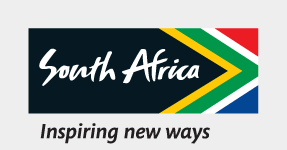 Indaba is vital to South Africa’s economy as it encourages job creation, and fosters business and connections that are integral to the growth of the tourism industry.